The word "lease" is related to real estates and is associated with rent, tenancy, or a lease contract. The .lease domain provides Internet space for advertising, promotion, and presentation of any business ventures related to real estate, physical items, or any other property that is open for renting or leasing. 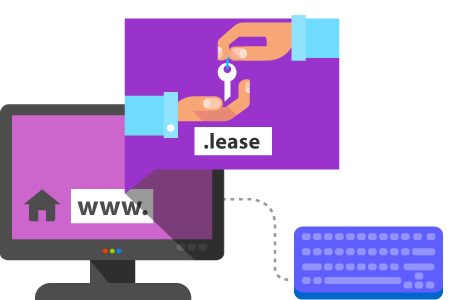 The .lease domain is suitable for all car dealers, real estate brokers, land owners, leasing companies, and other businesses related to rents and leasing. Register your .lease domain and get your easily recognizable name on the Internet to gain customers' trust!